The Slokar Quartet has already celebrated their 35th anniversary. During this long and fruitful period of intense concert activity all over the world they have built up a very broad repertoire which ranges from arrangements of early baroque music to first performances of contemporary works. These four dedicated musicians delight their audiences with their homogeneous sound, their brilliant virtuosity and their profound musicianship, which they often present in a very charming and humorous manner. 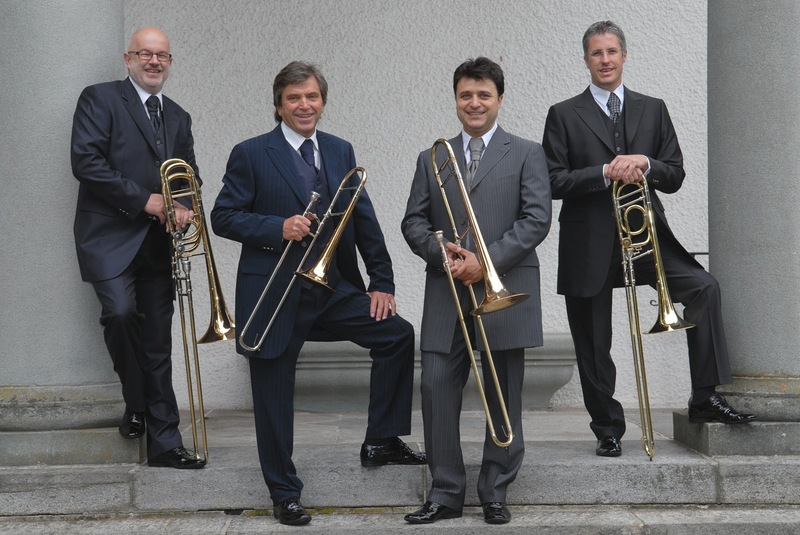 Many important contemporary composers have been inspired to collaborate intensively with the Slokar Quartet, which has led to a significant expansion of present-day trombone literature. The Slokar Quartet’s excellent reputation is a result of their numerous international concert tours, CD-productions, radio and television appearances. Members: Branimir Slokar, Armin Bachmann, Wassil Christov and György Gyivicsan.